Teams of vocational training and education (VET) learners in the European Union, Norway and Iceland have once again the opportunity to share their VET experience in a creative photostory for a chance to win trips to the European vocational skills week in Helsinki or to Thessaloniki for the opening of the International Film Festival. The #CedefopPhotoAward is going strong for a fourth year. 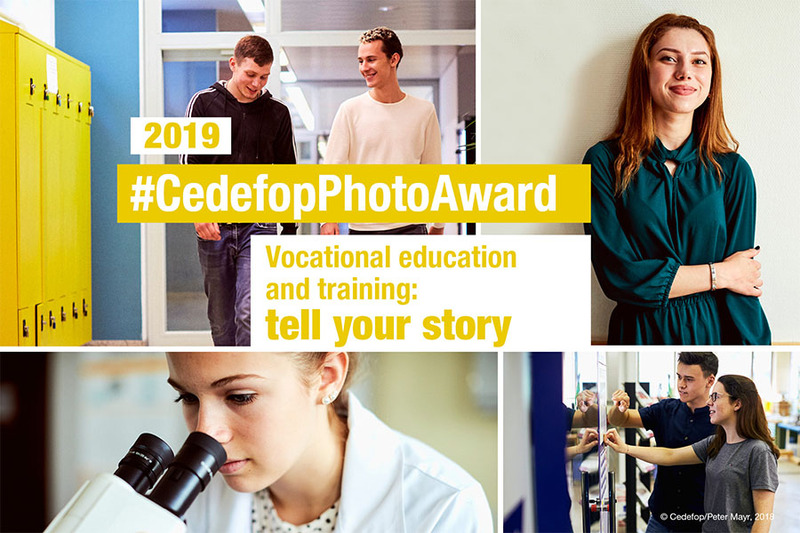 An initiative by Cedefop to promote best practice and excellence in VET across the EU and beyond, the award offers the chance to young learners as well as adults in continuing education to show their talent while promoting the benefits of VET. The competition is aimed at groups of up to four learners who are required to produce an original photostory accompanied by a narrative of up to 100 words explaining the idea behind their work. Individual entries will not be accepted. Exciting prizes are in store for the three winning teams of the competition. Two winning teams will take part in the European vocational skills week in Helsinki in October as nominees for the top prize, which will be presented by European Commissioner Marianne Thyssen at the closing event. A special #CedefopPhotoAward prix du jury will be presented to a third winning team during the Thessaloniki International Film Festival in November. Travel and accommodation expenses will be covered by Cedefop and the European Commission. In addition, Cedefop will showcase the photostories of the winners and runners-up in exhibitions in both cities. You can read more about the rules of the competition here and submit your application by following this link. This year entries will be submitted online. Deadline for submission is 31 May 2019 23:59 CET. Follow us on Facebook, Instagram, Twitter and Youtube for further competition news and updates!